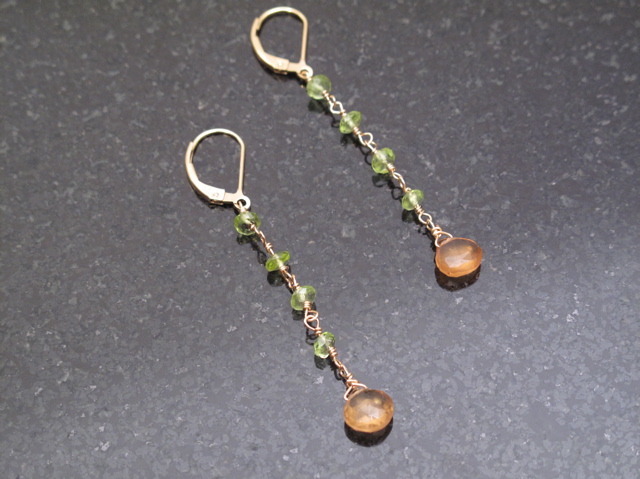 Get some color in your wardrobe with these beautiful long earrings, made with faceted Peridot stones and Hessonite Garnet briolette, all hand-wrapped in 14K Gold filled wire. 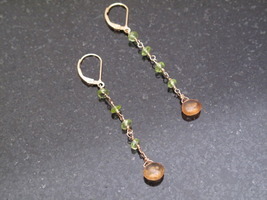 Earrings measure 2 3/8" L (including leverback) Peridot is a volcanic gem, but has also been found in meteorite deposits. Peridot has been mined as a gemstone for an estimated 4000 years. 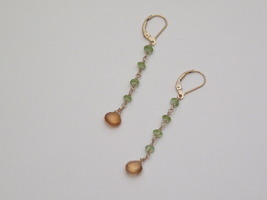 Historical legend has it that peridot was the favorite gemstone of Cleopatra. Ailments: It is used in healing to revitalize the heart, spleen, and adrenal glands, toning the body and mind, reducing stress and tension. 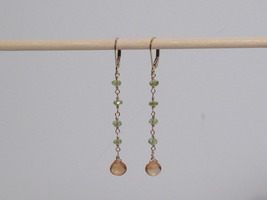 Each earring is hand-made and may differ slightly from the photograph. 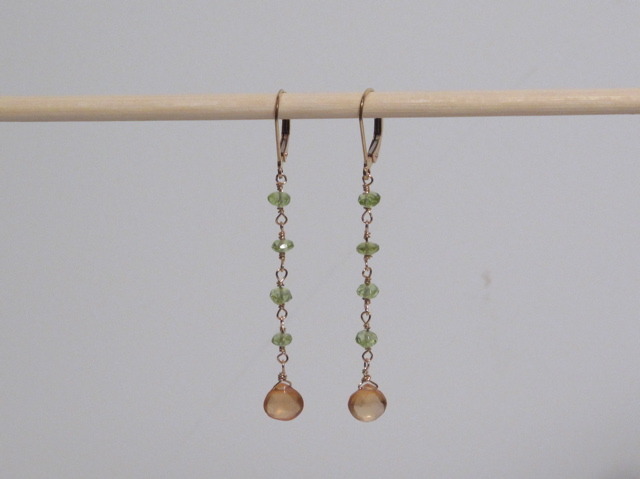 Contact me for custom order info - these earrings can be made in a number of different stones or in silver instead of gold. Feel free to contact me with requests.